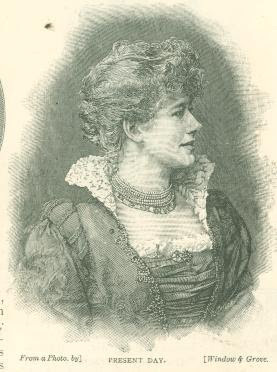 There is an old wives' saying, that pretty children often grow up plain, and vice versa; but, as our readers may de­termine for themselves, Miss Ellen Terry has been always charming. And she has always been an actress. 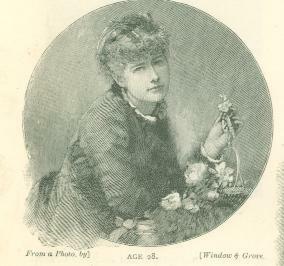 At the age of eight, she was playing as the child Mamillius in the "The Winter's Tale," with Charles Kean's company, at the Princess's, and was already giving pro­mise of the mingled power and charm which perhaps have never been more fully mani­fest than in the part of Lucy Ashton, which all London is now crowding the Lyceum to see. For all the photographs here reproduced we have to thank the kindness of Miss Terry.